switched to Berklee College of Music in order to pursue music studies. name by her father because she was born in Spring 1984. 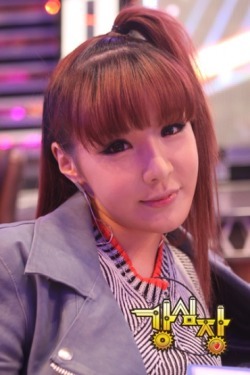 2NE1’s cute yet quirky member Park Bom revealed her love for juice. On the 18th, girl idol group 2NE1 recently held their first fan signing event after their comeback at Seoul Yeong Deung Po’s Time Square. During this event, singer Park Bom was photographed showing a special affection for her smoothie juice as she deliciously drinks it with a look of satisfaction. Meanwhile, 2NE1 is currently receiving a lot of love with their new songs “Can’t Nobody” and “Clap Your Hands” as they’re placing top spots in various online music charts. Be sure to check out photos of the other 2NE1 girls too during the signing event below! 2NE1 recently made a comeback with three title tracks from their new album “To Anyone”, and they’ve been killing the charts worldwide. On the 18th, the girls gathered to attend their 4D music video premiere. 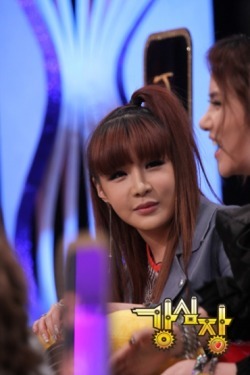 At the event, some close-up shots of member Park Bom placed her slim face under the spotlight. It appears that her lettuce diet for the comeback was a definite success, with netizens commenting on how great she’s looking. YG Entertainment has revealed that 2NE1‘s Park Bom is suffering from a severe flu, and that it may affect her performance at the ’2011 MAMA’, scheduled to be held on November 29th in Singapore. “Up until departing for Singapore today, Park Bom had been suffering from a flu so severe that she was unable to speak at all for days,” said YG officials. If Bom’s throat doesn’t clear up before their official performance at the MAMA, 2NE1 will have no choice but to use the AR version of the song on stage, which will contain both the song’s melody and Bom’s studio-recorded vocals. 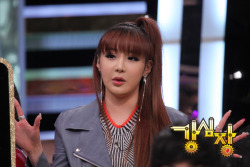 “We hope Park Bom’s flu gets better so that she can return to singing live for her fans,” the officials concluded. In related news, 2NE1 has been nominated for the “Best Female Group” and “Best Performance” categories at this year’s MAMA.